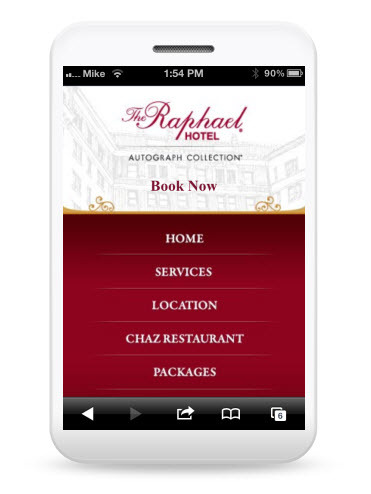 » Does your Hotel Need a Mobile Website or a Mobile App? Does your Hotel Need a Mobile Website or a Mobile App? As more users access websites and make purchasing decisions via mobile devices, it is becoming increasingly important for brands to offer a simple and compelling mobile experience for their users. Along with the surge in mobile traffic, advancements in mobile technology allow developers to add more features to inform and engage the end users. The question now for hotels: should my property have a mobile website, a mobile app, or both? Know your users. Take some time to research what types of mobile devices are being used to access your existing content. If most traffic is coming from feature phones rather than smart phones, then it doesn’t make sense spending money on developing rich and interactive content that will not be visible to the majority of your audience. What type of content are you providing? 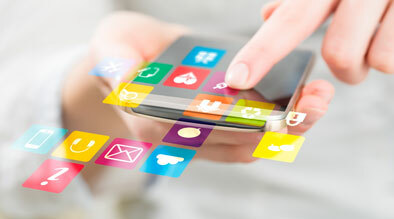 Mobile websites require an active data connection, but mobile apps have the ability to store or cache data for your users so they can access it without an internet connection. Some content lends itself particularly well to offline usability, while other content requires constant online access. How is your content being used? Mobile apps have the ability to access advanced features on smart phones, such as GPS, cameras, accelerometers, RFID chips and more. Site programmed in HTML 5 can make use of some of these, but if your mobile concept provides a unique and compelling user experiences integrated with the functionality of a specific device, then an app may be the best way to go. How regularly will you update content? Content on a mobile website can be updated instantly (by you or your web developer) but mobile apps often require approval from 3rd party online storefronts, and then require the end user to download and install the updates. What are your development constraints? Do you have an in-house team that can program iPhone apps, but not for Android or HTML5 for mobile (or vice versa)? Or does your go-to marketing company excel in one area, but would recommend outside resources for the rest? And once completed, do you have the resources required to update the different platforms as frequently as needed to stay fresh and relevant? The increasing influence of mobile content is undeniable, and staying on top of the mobile game is important to make sure you are leveraging all possible sales opportunities and customer touch points for your brand. That being said, it is important that you use your resources in the area where they can have the biggest impact. When making the decision to go mobile web or mobile app, a little research into your consumer behavior and your potential development constraints can go a long way in ensuring your success. Creating a strong presence that is uniquely you in one area of mobile web can mean a lot more for your bottom line than pushing beyond your means to cover every platform. Good advise! Mobile applications and Mobile websites are a different concept all together, which is why it is really important to know your target audience and business requirements. I agree with your view point that the type of content also determines whether you need a mobile application or a website for your hotel. I also believe that size of your business also determines the mode of marketing that suits the best. For example bigger brands like Hilton will have regular business clients, who prefers to make bookings through dedicated mobile application rather than a mobile website.